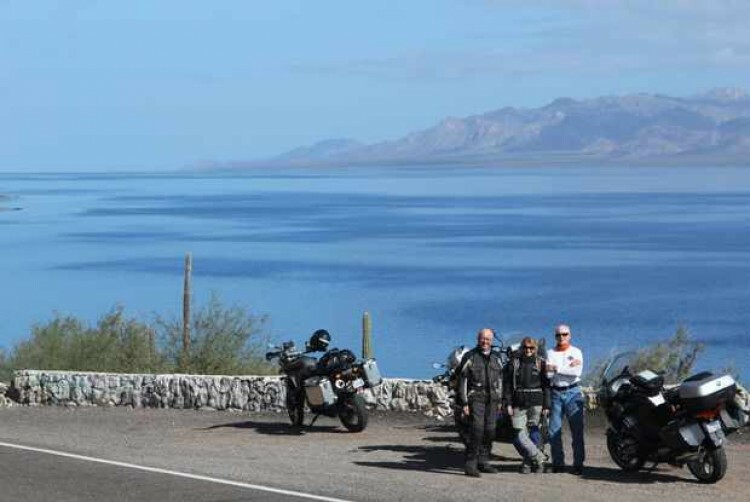 Baja & Copper Canyon Motorcycle TourGreat for Couples! Tour starts in Nogales, Arizona and ends in Tecate, California. Motorcycle Rental optional. Rental motorcycles are available. Personal bikes welcome! Roads are paved and suitable for riders on any style of motorcycle. Questions? Click to contact us. 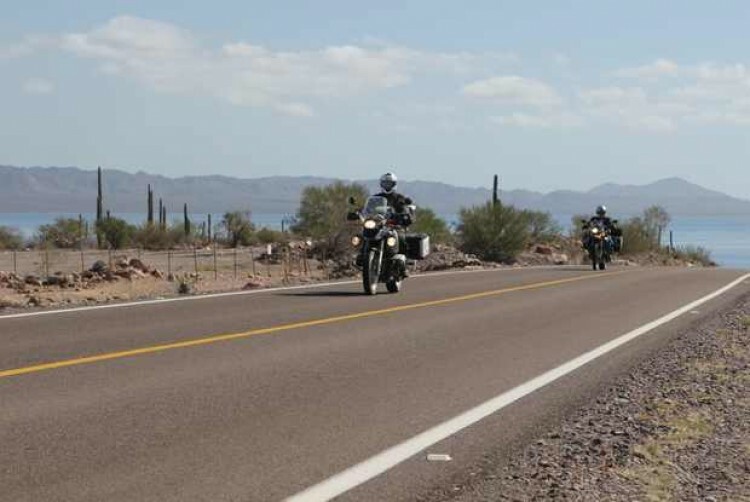 This tour is on paved roads, ideally suited for any style motorcycle. You may use your own motorcycle or rent from us, or one of our partners. This tour is perfectly suited as a solo ride or with passengers, a long time favorite as a romantic winter Mexico getaway. 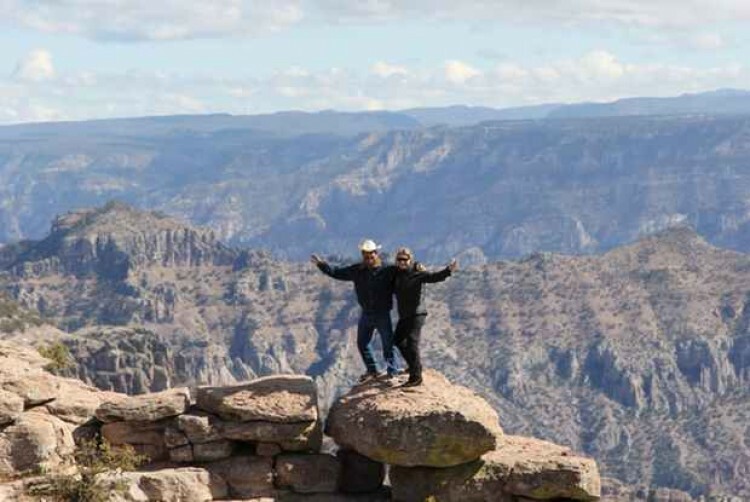 The Baja & Copper Canyon Road Tour is also a great platform on which to build a custom tour if you wish to develop your own group. Early reservations are requested in order to obtain the best possible accommodations and ferry arrangements. The Chihuahua al Pacifico (Chepe) railway across the rugged Sierra Madres of Mexico was a 100-year project, an engineering accomplishment of its time only fully completed in 1961 with 37 bridges, 86 tunnels. Leaving bikes behind we take the train to the Copper Canyon rim for an overnight stay. 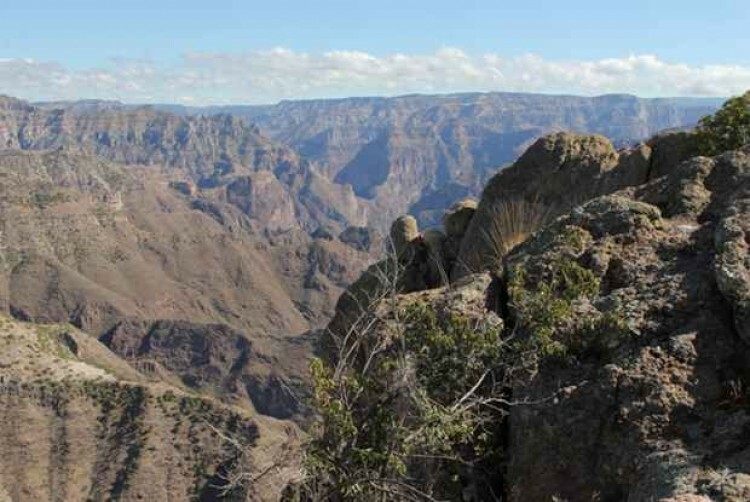 The Copper Canyon (Barrancas del Cobre) is four times greater in size than the American Grand Canyon. The Tarahumara Indian, a reclusive indigenous tribe, many of whom still live in caves, speaking their own native dialects and wearing traditional garb. Known for their long distance running stamina, competitors claim victories in USA long distance cross country footraces. A recently completed tramway with zip lines enables you to experience the depths of the Copper Canyon country and even more panoramic vistas. 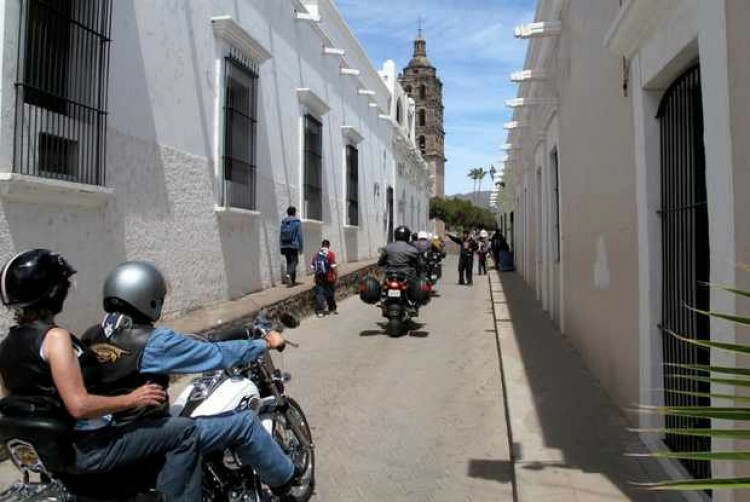 Traces of Colonial era Spain are evident throughout the tour in villages such as El Fuerte, Alamos, and Loreto. The Baja ferry is an overnight journey across the tranquil Sea of Cortez departing from Topolobampo Bay in the evening. 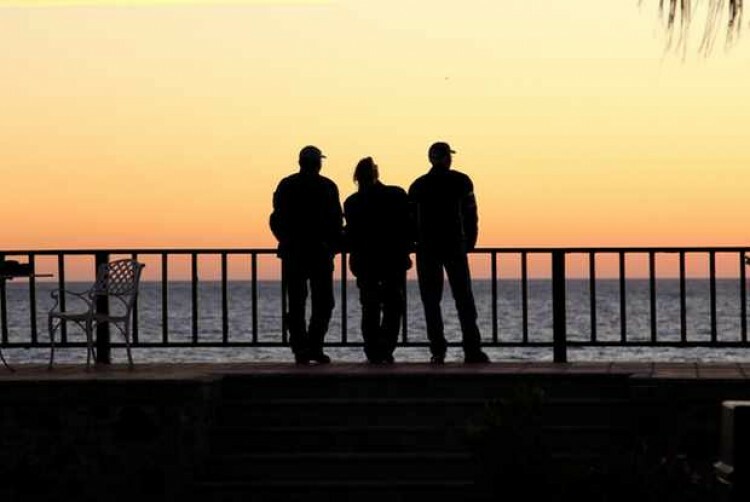 With the rising of the sun, you will see the mountains and shoreline of the Baja Peninsula. Includes cabins and passage for motorcycles. Thousands of gray whales make their way from the Bering Sea down the Pacific each winter to protective lagoons along the Baja Peninsula. You will have an opportunity to get up close to these magnificent creatures. The Baja landscape is ever changing with constant views of the Sea of Cortez or the Pacific. 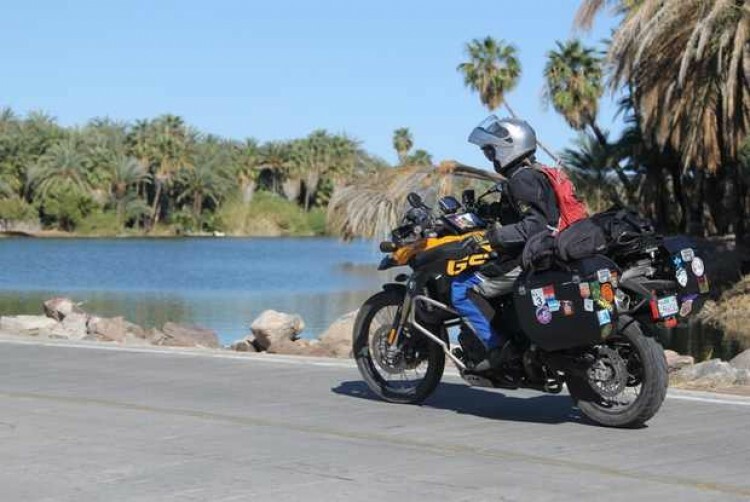 Towering boojum cactus, sprawling deserts, and the Gigante mountains make this a scenic ride. Ride your own bike! We will assist with insurance and Mexico entry documentation. What is the best motorcycle for this tour? Can I bring my own motorcycle? Yes. We encourage it. 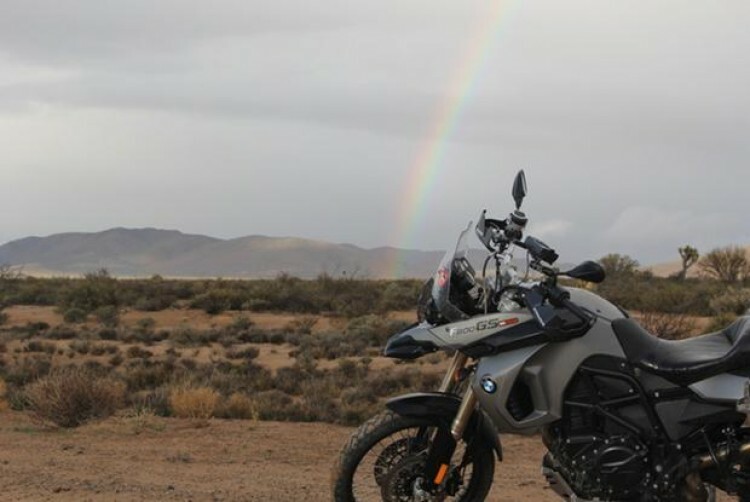 MotoDiscovery will help you in obtaining an inexpensive Mexico full coverage insurance policy while riding South of the border as well as walk you through the simple process of temporary importation. Easy! Is this a good tour to bring a passenger? Definitely. This has long been a favorite tour for couples. The ladies love it. The daily distances are quite reasonable. Our accommodations have a great romantic flare. This is a riding holiday you will want to share with your loved ones for sure. 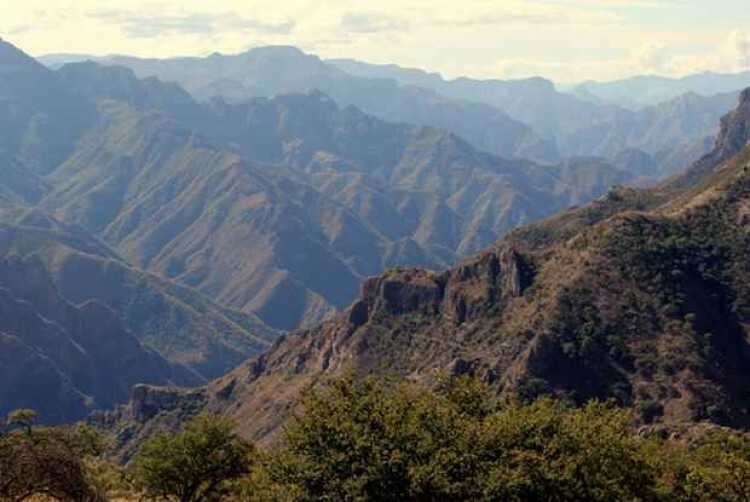 You’ll find the Baja & Copper Canyon Road Tours to run in an ideal climate. When it is snowing in the American North, you will be enjoying spring-like temperatures and the sunshine. There is a good reason why many thousands of people from North America spend their winters in Old Mexico. 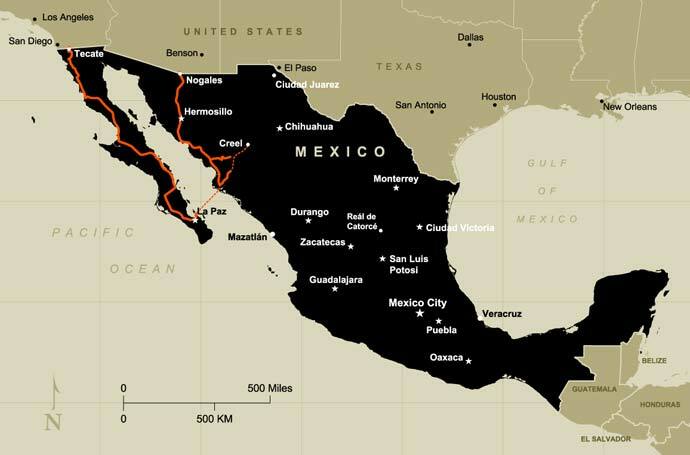 In recent years, certain areas of Mexico have been embroiled in a turf war between drug cartels. Things are much calmer today. Besides, tourists were never the target and when you realistically consider that over 12 million visitors make their way to Mexico each year, your security is probably as good there as it is back home. We would not go there if it were dangerous. And on the subject of your motorcycle, we have never had a motorcycle stolen in over three decades of riding in Mexico, or anywhere else for that matter. You can relax on that matter. Now. We sadly have had to cancel dates due to not getting registrations early enough. There are train tickets to buy, ferry reservations to make and we have a list of top accommodations that need to be secured. Please make your commitment and sign up today. It is best for everyone. Why should we ride with MotoDiscovery? Our brand says it...experience...authentic… adventure. We know Mexico. 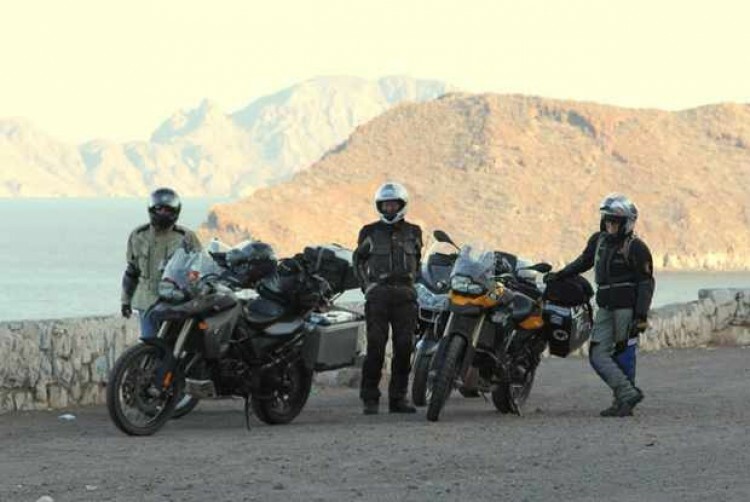 No one has hosted more motorcyclists from more parts of the world there than MotoDiscovery. After all, we used to call ourselves Pancho Villa Moto-Tours! We started in Mexico and know it better than anyone. We are the uncontested leaders. When you ride with MotoDiscovery, you are riding with the best....guaranteed. Since 1981.